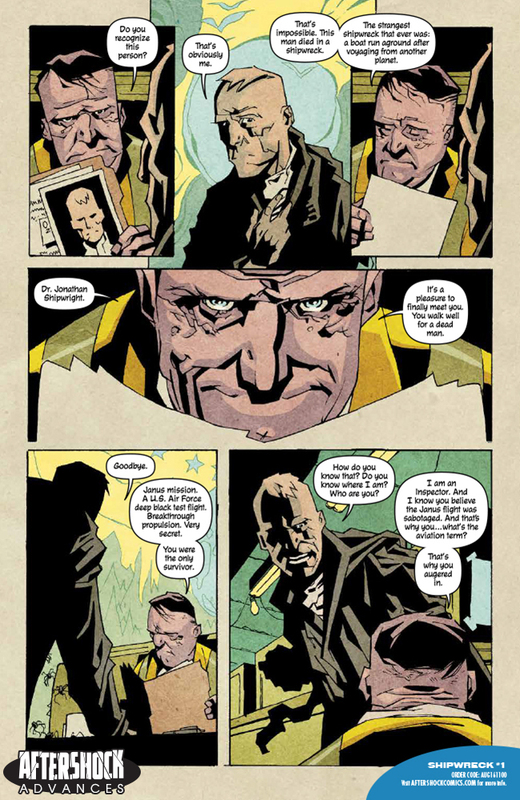 Warren Ellis has been running a halfway house for neglected government agents throughout a decent portion of his library. 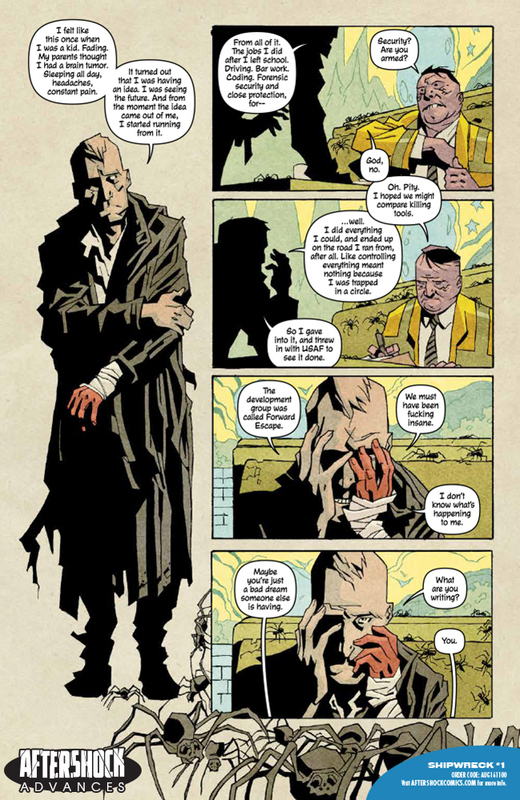 The titular antihero from Desolation Jones was subjected to a year of experimental sleeplessness and violent imagery after serving with M16; he was the only survivor. Frank Moses from Red received a nasty post-retirement package from his former employers at the CIA after a new director put a hit on his head. Shipwreck, a new series from AfterShock debuting October 5th, introduces another damaged good—this time from the United States Air Force. 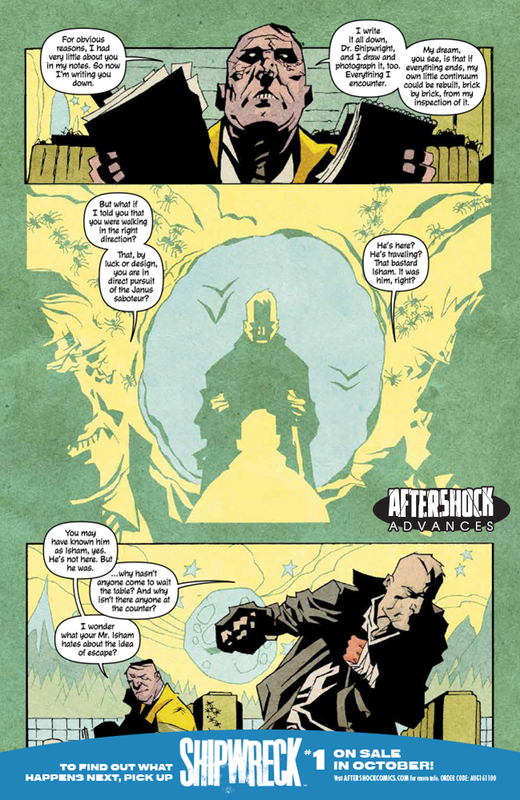 In the preview below, new protagonist Dr. Jonathan Shipwright encounters a mysterious benefactor (we think?) who knows about his history as a survivor of “a boat run aground after voyaging from another planet.” The weirdness doesn’t stop there: Shipwright’s been blacklisted by the government that ran the test flight, it was (maybe?) sabotaged and he’s been searching for new information ever since. Bureaucracy, noir and hard, hard sci-fi converge in what sounds like another very Warren Ellis comic, which is never a bad thing. 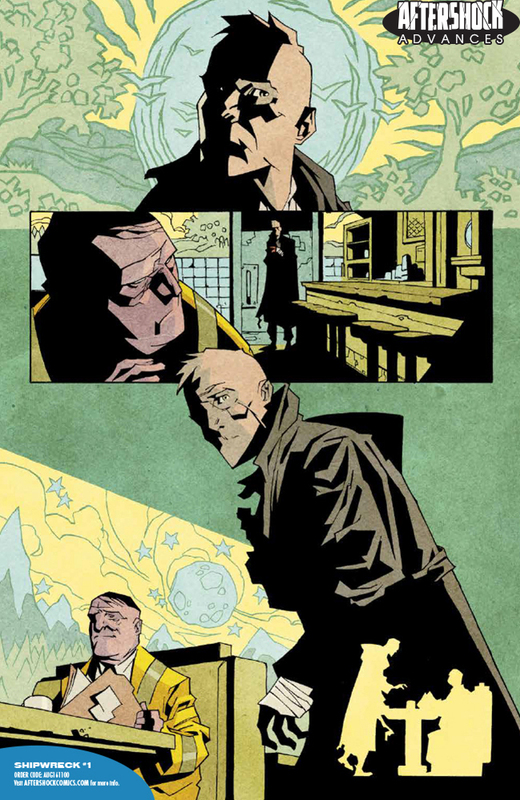 Phil Hester has recently been writing Mythic alongside artist John McCrea at Image, but his angular, inky aesthetic that defined runs on Green Arrow and Swamp Thing fits this new project perfectly. 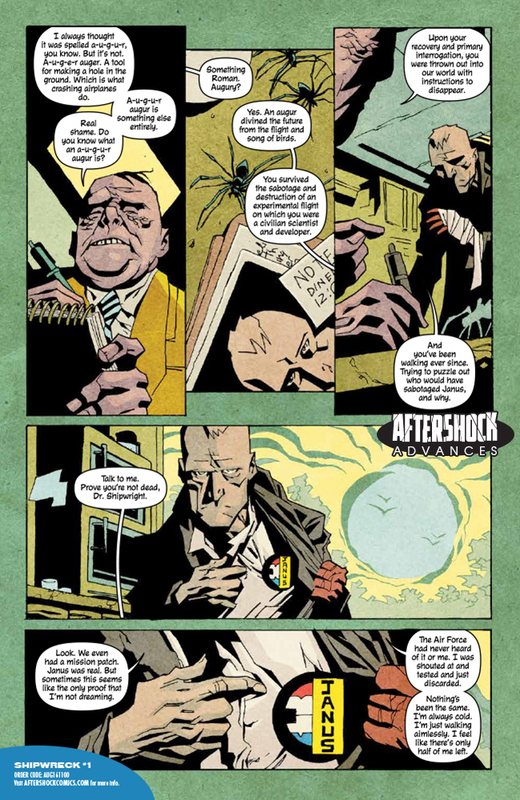 Mark Englert provides colors with Eric Gapstur on inks.